Date of Function: 14th march 2014- 15th march 2014. The Wait Is Over…..Get ready for the Tech Battle!! The Most Prodigious And Awaited Fest Of The Family Of Computer Science & Engineering Is Back. CBIT Presents Headstart, The Technical Fest Of Computer Science & Engineering. Headstart Is Well Known For Its Innovative Minds And Lucrative Cash Prizes. This Is The Juncture Where Skills Meet Substance And Together Are Rewarded With Treasures. The Department Of CSE Proudly Announces HEADSTART ’14, A Students’ Technical Meet On 14th And 1 5th March 2014. In Addition To The Formal Events Like Paper Presentation,Project Presentation, KodeCrypt And Dataadddicts Contests, Informal Events Like Innovision, C-STAR And LAN Games Are Pesent. 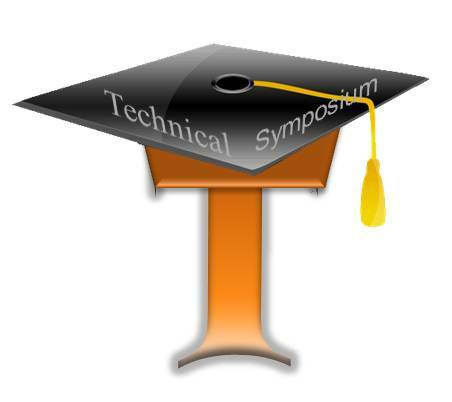 Eminent Personalities From Academics, IEEE And The Industry Will Also Be A Part Of This Event. With Renewed Energy, Fresh Spirits And Charged Minds, Indeed New Frontiers Are Going To Be Broken! Come, Participate , Enjoy And Go Back With Loads Of Certificates, Prizes And Treasured Memories.For the better experience open Headstart'14 site with Google chrome or Mozilla. Source:Information(s) Provided By Sai Kiran techsymposium member.